Time for my favourite church book sale! I didn’t do as well as I did in 2011 and 2012, but I certainly didn’t come home empty-handed, and I did get a couple of gems. Arts and the Man: A Short Introduction to Aesthetics by Irwin Edman. I mostly got it for the clever title. Totalitarianism and Antisemitism by Hannah Arendt. Alas they did not have Imperialism, which is the second volume of Arendt’s trilogy, The Origins of Totalitarianism. I’ll have to find it somewhere else. If I don’t get arrested first. Norton Critical Edition of The Communist Manifesto. OK, now I’m definitely going to get arrested. The Secrets of Chinese Meditation by Lu K’uan Yü. Something to keep me occupied while in detention. London: The Biography by Peter Ackroyd. Supposed to be very good. It’ll go nicely with the epic novel London by Edward Rutherfurd which I got at the thrift store a while back. The Oxford Illustrated History of English Literature. Requires no explanation! The Vogue Sewing Book and The Vogue Sewing Book of Fitting, Adjustments and Alterations. A nice matching set of basic references. A World History of Photography by Naomi Rosenblum. Massive. Weighs 6 pounds. Entirely pre-digital; in fact it really only covers the first 100 years or so. 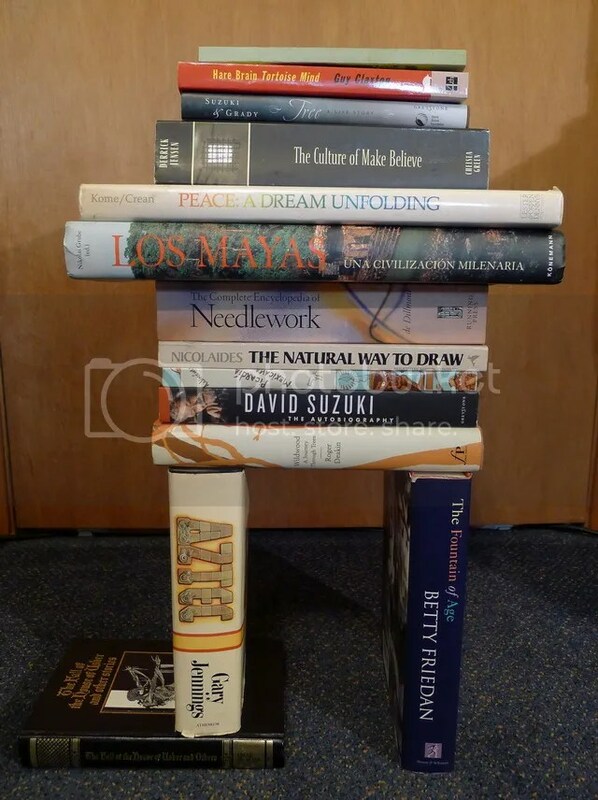 The second century of photography won’t fit in a book! Last week I posted about Cinoc, the word-killer, from Georges Perec’s Life: A User’s Manual. I checked the book out on my way to a lecture at the library. The librarian hosting the lecture took a seat next to me, noticed the book, and told me it had been hers and she had donated it to the library. I never did get around to reading the book and had to return it a few days ago. I went to library again today and normally I would walk by the sale cart since there is usually nothing there to interest me, but today I felt a distinct urge to have a look. What should I find there but the very copy of Life: A User’s Manual I had taken out! I guess I was the last person to take it out of the library. Since I do want to read it at some point I figured I’d better grab it in case the library is not going to replace it. The book is rather beat up so I hope they are just making way for a new copy, though the only edition in print now is a paperback (I think libraries prefer hardcovers for literature), and the catalogue says “withdrawn” rather than “on order.” In any case I now have my own copy of this peculiar book and look forward to puzzling it out. 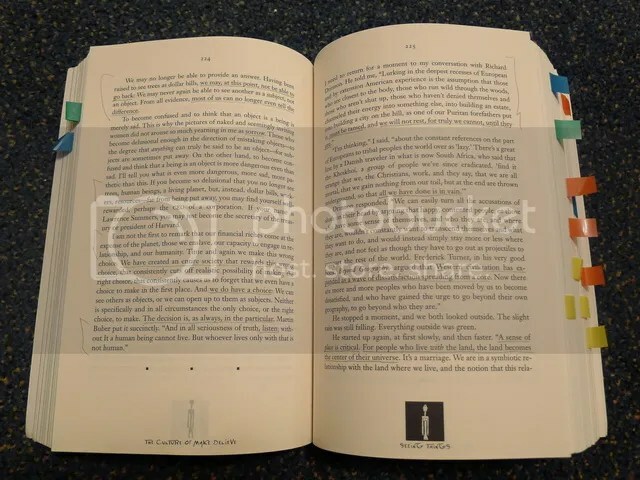 Do you have any stories of bookismet, of books that seem meant to come into your possession? It always surprises me how many of the “used” books I buy from local thrift shops and book sales do not look used at all. 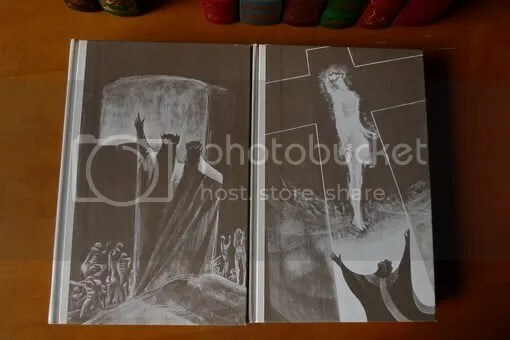 The covers are immaculate, the bindings are stiff, and the pages are pristine. I’m guessing that a lot of them were gifts that sat demurely on a shelf for a decent length of time before being discreetly edited out of the collection. I don’t have to tell book-lovers that giving books as gifts is a hit and miss affair, and I believe a certain number of those misses are now living with me. One recent acquisition that was evidently a hit is my copy of The Culture of Make Believe by Derrick Jensen. I do not know who owned the book previously—there is no name in the book—but I think I can safely say it was someone who thoroughly enjoyed it. It is marked from beginning to end with pencil underlining and bracketing as well as removable sticky flags. The non-permanent nature of these markings suggests that the last reader likes to take good care of books. Though some of the signatures are threatening to come away from the glued binding, the spine is uncracked and there are no dog-ears or other damage to the book. I have an idea of where the book might have come from. In the bibliography I found a bookmark from the Bookshelf bookstore-cinema-bistro in Guelph, Ontario (which itself warrants some investigation). Judging by the Bookshelf’s website, they cater in part to the university crowd. Was the person who bought a book a student who came to the University of Victoria to do graduate work? On the back of the bookmark is written www.habitat.org. Was the last reader inspired by the book (which is about issues of poverty and community, among other things) to get involved with Habitat for Humanity? I also know where the book has been. Near the front of the book I found a ferry ticket for a car and driver travelling from Pender Island to Galiano Island. For those not familiar with this area, Pender and Galiano are two of the Southern Gulf Islands, which contain one of the highest concentration of hippies outside of the San Francisco Bay area. It is most definitely the natural habitat of someone who is deeply interested in social justice. Does this mean the book was living on one of those islands for a while? The ticket is time-stamped 6:47 am, January 25, 2008, so it would have been a cold, dark morning voyage. I can imagine the owner of this book hurrying from their car to the warm lounge on the little inter-island ferry, perhaps huddled over a hot cup of coffee while reading this book and contemplating the day ahead. I love that this book has so many clues about its history in it. I have a feeling I would get along with its previous owner. I imagine someone with a thirsty intellect who cares about the world and is perhaps willing to lend a hand, and who loves books enough not to permanently mar one. When I find a book with markings in it I usually erase them, but for some reason it seems a shame to do it in this case. But perhaps now that I’ve immortalized them in this blog post I can wipe the book clean and start from scratch. Now I just need for the power to go out for a few weeks so I’ll have time to read them all without any electronic distractions! I’ve recently become a fan of the Keep Calm and Carry On poster from WWII Britain. I have stationed small versions of the poster in strategic locations to remind me to cross my bridges when I come to them, rather than what I usually do, which is to design, construct, pave, and paint bridges in every direction on dry land, just in case a river suddenly appears. Obviously a lot of people find the poster both amusing and reassuring because it has become a hot web sensation. It seems somehow appropriate that the poster was rediscovered by the owners of an absolutely gorgeous bookstore in a converted train station in northern England. Get out your bookstore bucket list because you might have something to add to it after seeing this video. When I got up this morning I saw several tweets celebrating World Book Day. I was confused at first, since I thought World Book Day was in April, but soon I recalled that the UK and Ireland have their own “World” Book Day. I had noticed this before but never looked into it. 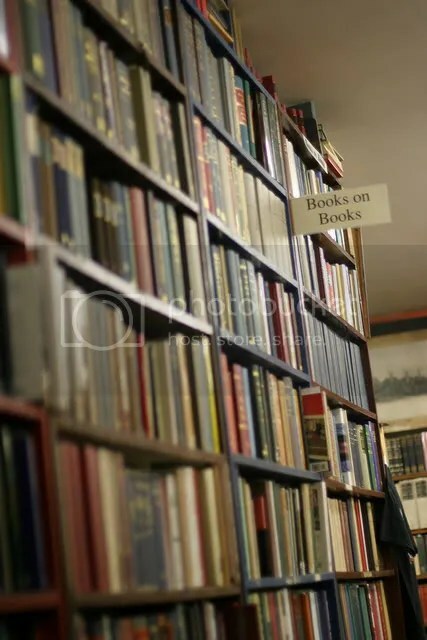 As it turns out, today’s World Book Day is an initiative of the British publishing and bookselling industry, and doesn’t seem to have anything to do with the UNESCO World Book and Copyright Day. The way it works is that for every child under 18 you can buy a £1 token and redeem it for one of 8 specially chosen books at participating bookstores. The reason they changed the date is so as not to conflict with school or religious holidays. You would think holidays would be the perfect time to get people reading, but perhaps they are not very good shopping days. It all sounds to me like an industry promotion, rather than a celebration of literacy and literature. 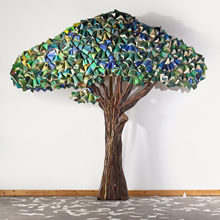 The event is run by a registered charity, which also makes contributions to Book Aid International, but the funding comes mainly from publishers and booksellers. 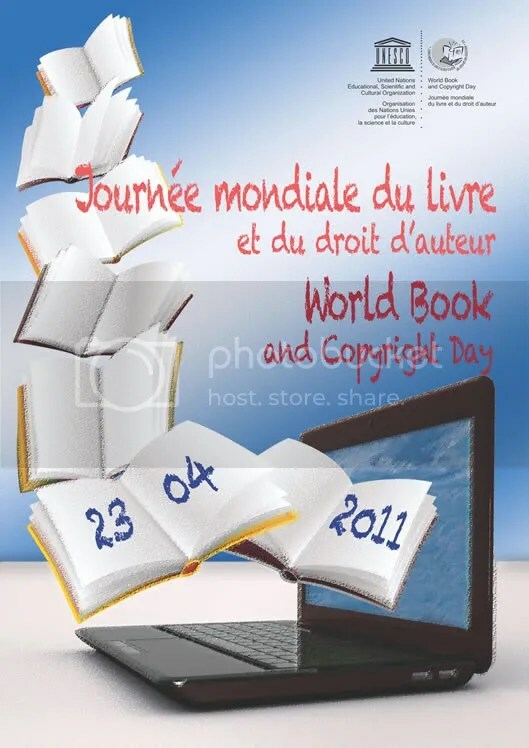 I became even more skeptical when I saw that the Wikipedia page on World Book and Copyright Day had been edited to change the date to March 1st and featured the UK World Book Day logo and not the official UN poster. So I fixed it. I will have to keep an eye on that page to see if it gets altered again. The page already goes into great detail on the UK/Ireland “World Book Day” so they hardly need more promotion for their promotion. After all that I must confess that I failed to recognize World Book and Copyright Day last year. It’s too bad because last year’s poster is quite interesting in that it features a laptop or netbook along with books, an obvious reference to the recent proliferation of ebooks. 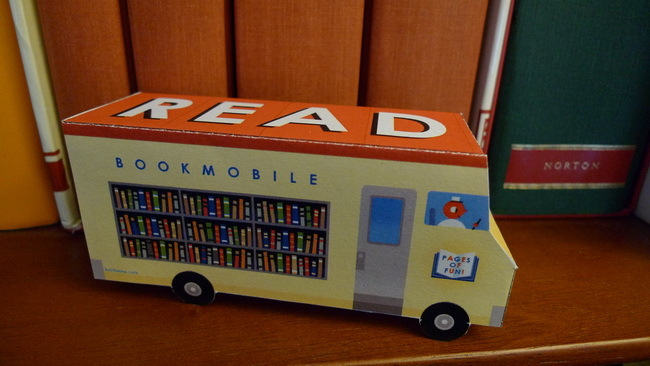 I wonder that they did not depict an ereader or mobile device, but it may be that in most of the world, most ebooks are read on a computer, perhaps at a library or school. 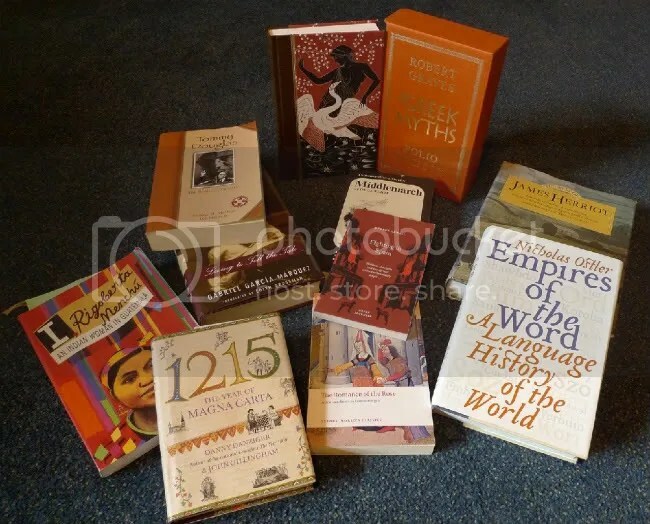 In any case, it is a recognition that ebooks are a now significant element of global literary culture. So mark April 23 on your calendars as the real World Book Day, and don’t forget World Poetry Day on March 21! I really should not go to book sales, especially good ones. This one was so well-organized that they even had a table for Oprah’s books. I resisted as long as I could but I eventually gave up and just grabbed whatever struck my fancy. Now the problem is where to put them! I swung by my favourite thrift store today and much to my surprise found some more Franklin Library books. I thought I had cleaned them out last time but perhaps they had more in storage. This time I got some Greek Tragedies (which I already have but it’s such a pretty book! ), Augustine’s Confessions, Montaigne’s essays, Great Expectations (illustrated), The Magic Mountain, and A Farewell to Arms (illustrated). The Hemmingway is the only one that has been read. It looks like it was only partly read but also abused because the binding is racked. I suspect a high school student (it was part of the curriculum when I went through). It still looks good though. Alas, I didn’t get all the Franklins they had there. I saw a lady walking around with two of them, The Mill on the Floss and The Decameron. I tried to do a trade with her but she was having none of it. I even told her The Mill on the Floss was very sad and she wouldn’t like it but she just laughed and thought I was very funny. Harrumph. Still I can’t complain considering what I got, and for only $1 each this time. I really must shop there more often! I had tremendous luck at the thrift store today. I came home with a box full Franklin Library books, plus a nice edition of Dante. Other than a little dust, the Franklin Library books were in mint condition, with the pages still stuck together by the gilding. 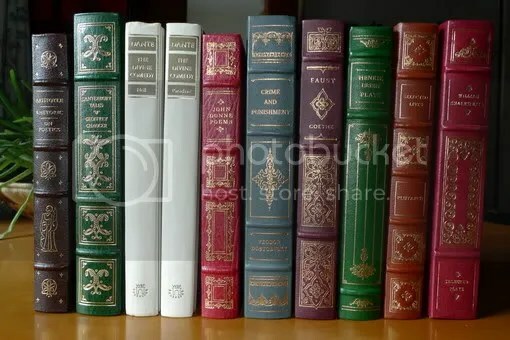 I got Aristotle’s Rhetoric and On Poetics, The Canterbury Tales, the poems of John Donne, Crime and Punishment, Faust, the plays of Henrik Ibsen, selected lives of Plutarch, and selected plays of Shakespeare. For them I paid a royal sum of $3 each. 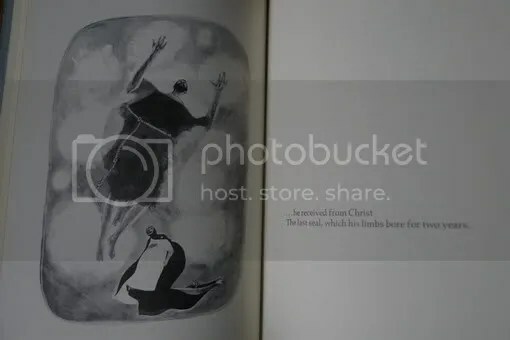 The Dante is published by Washington Square Press and is not quite as fine as the Franklin books but the paper and printing are very good and the volumes feature some very interesting modern illustrations. The text is presented in Italian and blank verse English translation by Louis Biancolli.